Intermittency issues and limited storage have somewhat stalled solar energy from becoming a more dependable renewable energy source. However, solar PV systems are now set to line the roofs of residences all across the world thanks to one very important ingredient binding them all together: virtual power plants (VPP). This new concept of energy management is projected to reach a market size of $709.98 million by 2023, growing at a CAGR of over 29%. 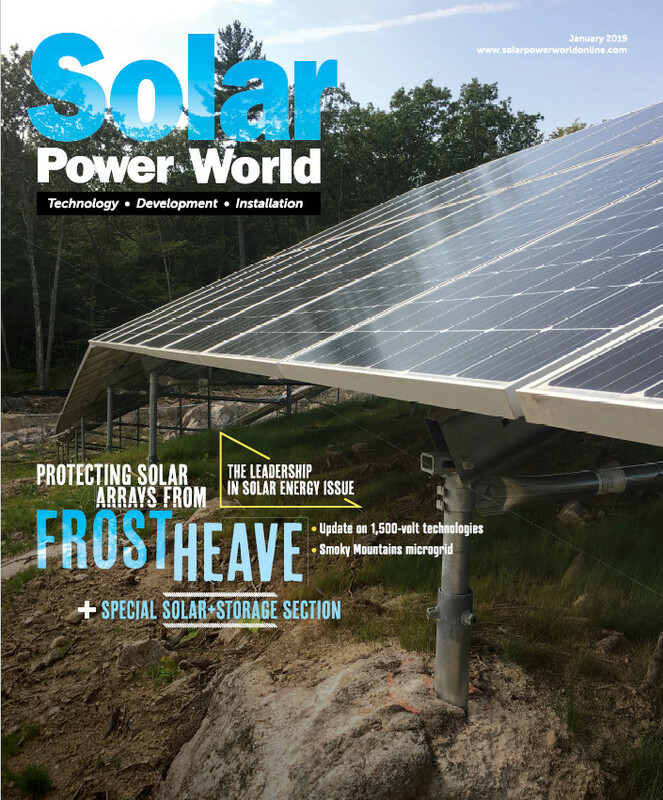 With their potential to store and smartly distribute power to increase grid stability, VPPs may just be the solution to solar energy’s limitations. Thanks to growing technological advancements and government support, VPP solar projects are already bringing light to communities. Last year, Tesla deployed the first 100 Powerwalls and solar arrays on 50,000 homes in South Australia, creating the biggest virtual power plant in the world. VPP plans have also been unveiled in the United States. San Francisco company Sunrun has just recently become the first company to win a contract to supply capacity to a wholesale power market from a VPP. And Hawaii’s first VPP project, launched in 2016, is using Oahu’s large amounts of rooftop solar power to reduce peak demand and stress on the island’s grid. Pulling power from solar or wind sources is effective until the sun stops shining and the wind dies down. Excess energy being produced during the sunniest hours of the day are often wasted as no one is at home to use it. And even when batteries are put in place to store this excess energy so it can be used when it is dark, the generated energy is often not used. A virtual power plant, however, can re-route this energy to neighbors to more efficiently utilize the power-generating capacity of these clean energy resources. VPPs can also enhance grid reliability and solve flexibility problems in solar energy demand and supply. They allow for real-time, cumulated control of available energy resources on the grid, to meet any sudden peaks or unpredictable changes in supply needs. Tesla’s 50,000 connected homes, for example, are expected to deliver 250 MW of solar energy and 650 MWh of battery storage capacity. This supply is 2.5-times the capacity and nearly 5-times the storage of South Australia’s Hornsdale lithium-ion ‘Big Battery.’ With a single control system, this dispatchable supply can be balanced correctly between who needs it most and when. A shared peer-to-peer energy trading system such as a VPP will not only better circulate renewable energy locally, but also lead to a reduction in grid consumption and cost. A decrease in consumption will result in less reliance and strain on the grid during periods of high demand. Early participants on Tesla’s VPP project cited a 70% reduction in grid consumption, while bills have been reduced by up to 30%. Solar energy now has the necessary framework to become more cost-effective, thus ramping up adoption rates. Last year, the Rocky Mountain Institute published a report that compared cost savings from natural gas plants with virtual power plants, or what they call ‘clean energy portfolios,’ comprising grid-scale and renewable energy resources. The report looked at possible outcomes if thermal plants, such as coal, nuclear and gas, were to be replaced with new natural gas plants or VPPs by 2030. If replaced by new natural gas plants, the net present value of the required gas capacity was estimated at $700 billion, whereas if half was invested instead in VPPs, it would yield a 2 to 5% cost savings, creating a $350 billion market, including $100 billion for Distributed Energy Resources (DERs). This shift away from centralized power plants will ultimately introduce more competition to the energy market as VPPs develop. From financial benefits to greater stability and trading opportunities, solar energy now has the capacity to compete with more reliable energy sources thanks to this new management system. Tomas Demcak is co-founder and CCO at FUERGY, a unique AI-powered device that uses blockchain to help users optimize energy consumption, maximize energy efficiency and participate in the energy market. If the solid state storage battery develops as projected and Solar Windows for sky scrapers comes to maturity it sees to me the solar industry will become the major player for energy.